The Karlstejn Castle is one of the most visited and beautiful castles in the Czech Republic. 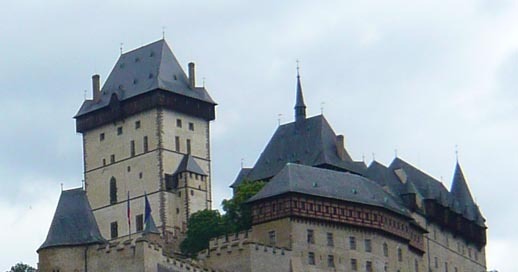 The Disney fairytale-like fortress was built in 1365 to house Charles IV’s royal treasury. The castle is located in Karlstejn, 30km southwest of Prague. The train journey from Prague takes about 1 hour. Unless you are taking a taxi up to the castle, factor in some time for walking along a very steep slope leading to the castle :-). 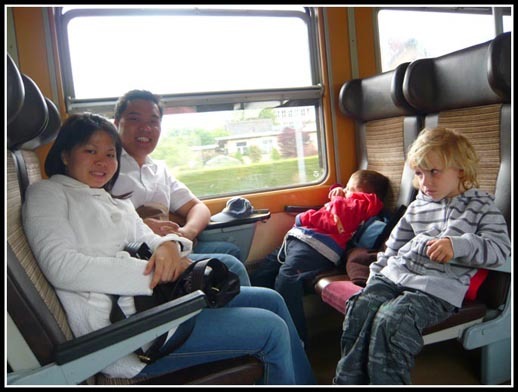 The return train fare to Karlstejn cost 55 CZK – per person (discounts available if there are more than 2 people in your group). The ticket can be bought at the Prague main train station similar to how we did for our Kutna Hora Bone Church trip. 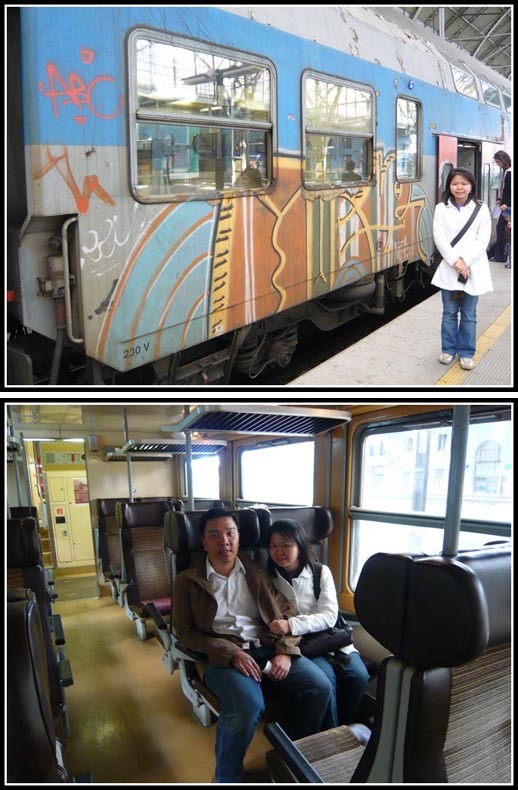 Czech trains are often victims to ‘creative’ vandalism and graffiti. The train interior is quite well-maintained and comfortable though. 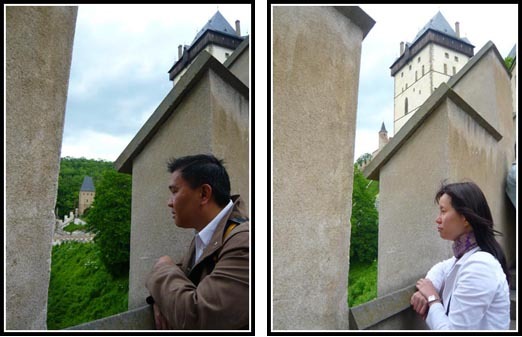 From the Karlstejn train station, you have to walk for about 30-45 minutes uphill towards the Karlstejn Castle. The street leading to the castle is filled with souvenir shops and restaurants so while tiring, it is not a boring walk. Tour 1 (50-minute) will take you through the Imperial Palace, Hall of Knights, Chapel of St. Nicholas, Royal Bedroom, and Audience Hall. 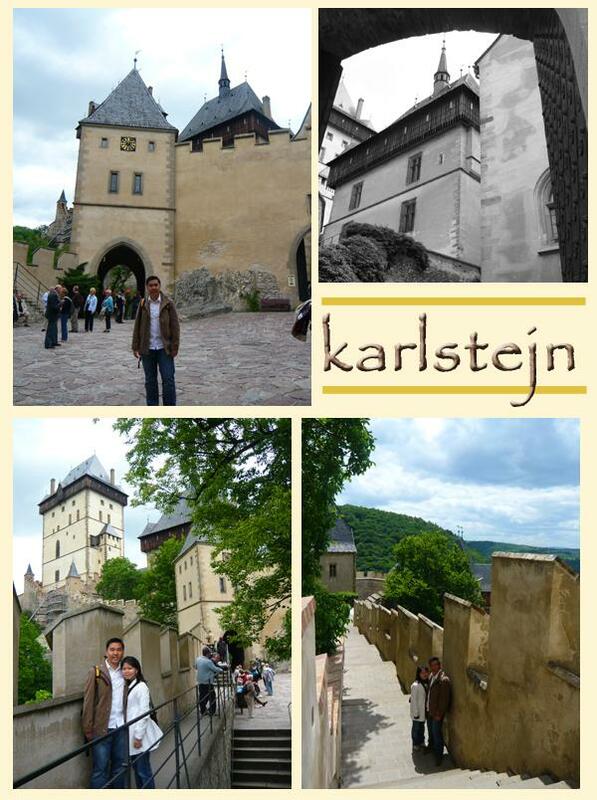 Tour 2 is highly recommended by many visitors to Karlstejn Castle and requires a prior reservation with the Castle. You can make a reservation with the Castle in 3 easy steps (even when you are more than 3000km away) – just need a credit card and email account. You will receive info from them e.g. available timings and cost as well as a reservation form which you will need to fill in your name and address as well as credit card info. Complete the info and send it back to me via email. They will then process the reservation fee payment and issue the following voucher. 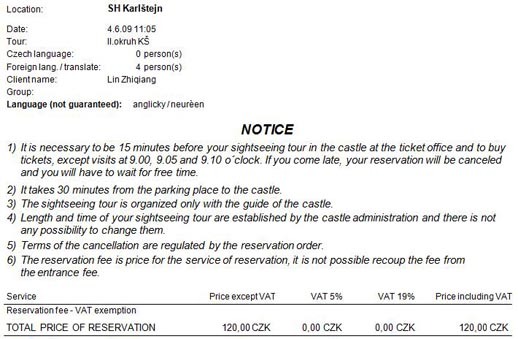 Print it out, present it at the Karlstejn Castle ticket office, pay 300 CZK for the admission ticket and you are done! The guided tour was quite interesting (especially the finale – the Chapel of the Holy Cross is really magnificent) and our guide was friendly and eager to help you with any questions you have about Czech history. What seemed quite strange was the bunch of keys he held that is supposed to open and close all doors in the Castle. As we proceed from one room to the next, he will need to lock up the door to the earlier room. This was supposed to be a security feature to prevent any intruders who could damage this castle interiors. We are allowed to take pictures only when we are not in the castle interior e.g. 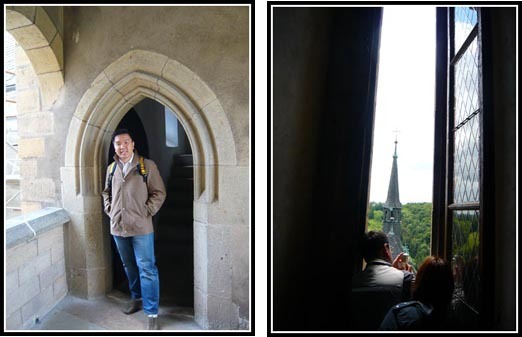 at a bridge connecting a tower to another or in rooms where there are practically nothing to take photo of. 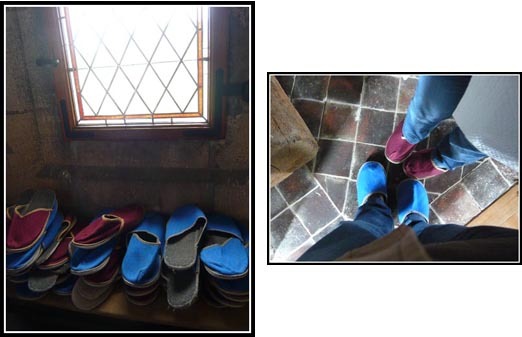 To protect the floors of some of the rooms, we were required to wear bathroom slippers over our footwear before being allowed into the rooms. choose certainly so many specifics like that to provide into consideration. That is quality point to bring up. I present the thoughts above as typical inspiration but obviously track down questions such as the one you bring up exactly where essentially the most treasured thing may be working in honest awfully faith. I don?t know if finest practices have emerged all over things like that, but I’m certain that your event is plainly identified currently being a fair game. That looks like a really neat trip. The castle is just amazing, I’m adding this to the places I want to go list. It looks like you had a great trip. That looks like quite the castle. The country side looks very beautiful as well. Very lush and green. I was just searching for this information for some time. After six hours of continuous Googleing, finally I got it in your website. I wonder what’s the Google’s issue that doesn’t rank this kind of informative web sites closer to the top. Normally the top sites are full of garbage. Thank you for sharing excellent information. Your site is so cool. I am impressed by the details that you’ve on this site. It reveals how nicely you perceive this subject. Bookmarked this website page, will come back for more articles. 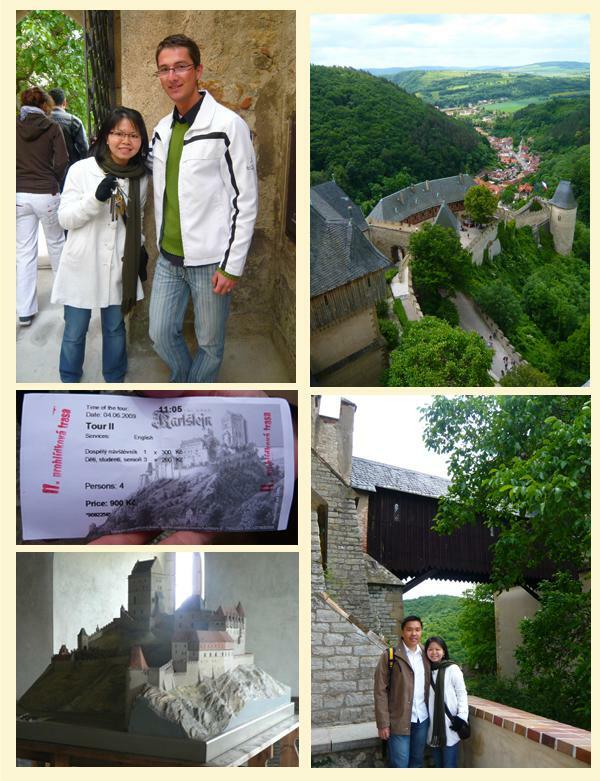 How long does the trip to Hrad Karlstejn took? If i am planning to visit Hrad Karlstejn, is it a half day trip or a full day? I am arriving in Prague at noon, then i have a full day the following day and on the 3rd day, will be leaving for airport.